If this starts this is the biggest news in 3rd level for a while now. Yea unless there is something we don't know, perhaps a contract with spare seats? 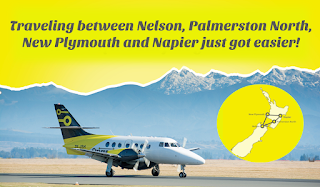 I thought they may have done Nelson to Hamilton next being a bigger city. It is exactly a year on since they started New Plymouth so HLZ may come next year!